Bamboo Go Towels - Organic Bamboo Towels! We’ve been talking about it. You’ve been reading about it. It’s old green news that bamboo is a soft, versatile, eco-friendly fabric. But all this talk and we’ve never really shared all the wonderful benefits of the textile. In a nutshell, here’s what you should know. Renewable: The bamboo plant grows quickly and needs no pesticides or herbicides. It produces more oxygen than cotton and doesn’t need to be replanted or fertilized. And, its roots stabilize erosion-prone soil. Antibacterial: The natural kun substance in bamboo makes it inherently resistant to pests and pathogens. The same qualities can be found in the spun yarn from the bamboo plant, which means no harm for your skin. 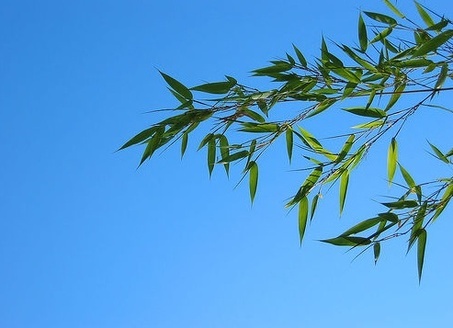 Deodorizing: Bamboo’s antibacterial properties keep it from absorbing and retaining odors. Also, it helps keep you dry in the first place because of the yarn’s micro gaps that allow air to flow freely. Temperature Regulating: The porous nature of the fabric helps keep you cool in the summer and warm in the winter. There you have it ““ four great reasons to love bamboo. The eco-friendly Go TowelTM! Made of organically grown bamboo, the Go Towel is idea for refreshing yourself after exercising. Simply moisten the compressed disk and it expands into a 14" x 21" wonderfully refreshing towel. Print Method: Applied printed sticker.